In the "Expression" combo, enter a renaming expression, validate it with the "Enter" key. 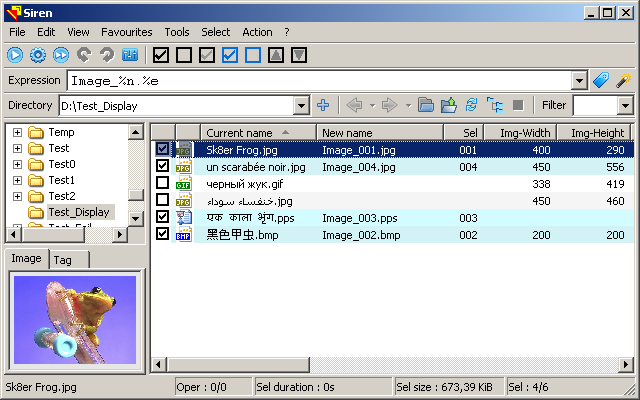 In this case, "%n" corresponds to the selection number and "%e" to the file name extension. The "Future name" is immediately computed. Click the button with the "Play" shape, the renaming is done. The "Undo" button has become enabled.